Our lovely two storied holiday home is so close to the beach, sunny and comfortable. There is everything you need for a relaxing stay. A great sunny deck for lazy evening BBQs. The area is very quiet and safe. We have an outside room attached to a lockable single garage, the room has a table tennis table and pool table. Mount Maunganui is one of the North Island's premier holiday locations with a stunning sandy beach that stretches for miles. There are many facilities available close by: at the end of our road is a dairy, chemist and takeaways, with Bayfair mall just a short walk away. The main Mount beach with its magic hot salt water pools and array of restaurants is just a 10 minute drive away. The Bay of Plenty provides a host of entertainment and holiday options to keep everyone entertained in both summer and winter. ABSOLUTELY NO TEENAGE GROUPS PLEASE! This was our second stay at the korowai beach house and again it was great. I have a family ranging from 3 yrs to 18 yrs and this house was great for all ages. Close to beach, shops, pools and has all those little extras you need when your on holiday. Felt like home away from home. The only thing that was a little frustrating was the rubbish situation. It wasn’t until we were at the refuse station that we were aware that you had to have special bags with pink stickers that you could only purchase from the supermarket. This may have been in the info book but I didn’t see it. Will definately stay again next year! Excellent location. 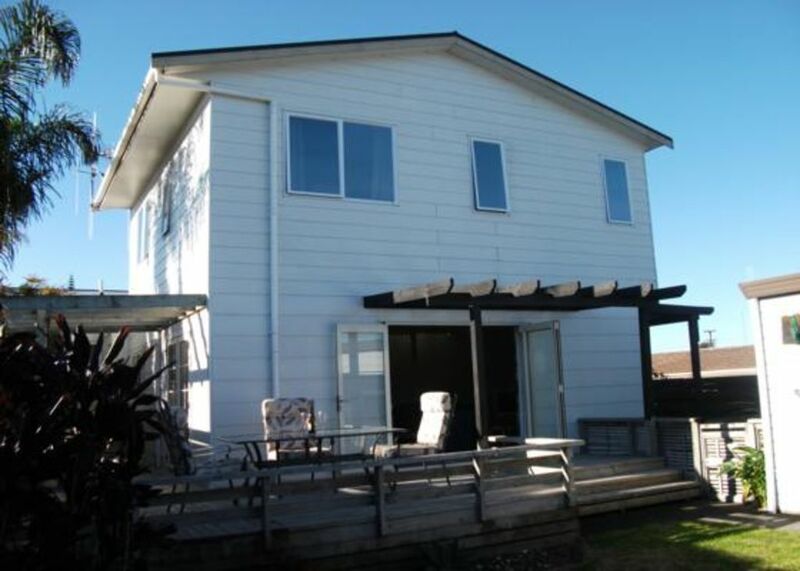 close to the beach, and just a short drive to the beach. Games room is set up well for a game of table tennis or darts. Good property with a nice, spacious outside deck and comfy sofas in the living room. Good property with a nice, spacious outside deck and comfy sofas in the living room. We did notice that shower the head was quite low - good for short people! And another toilet would of been good at times with 5 people! But great value for money and nice and near to the beach. Great location, just a stones throw from the beach. Great location, just a stones throw from the beach. Amazing value for money!!! A lovely house with room to relax. A lovely house with room to relax. We loved that it was so handy to the shops and the beach.